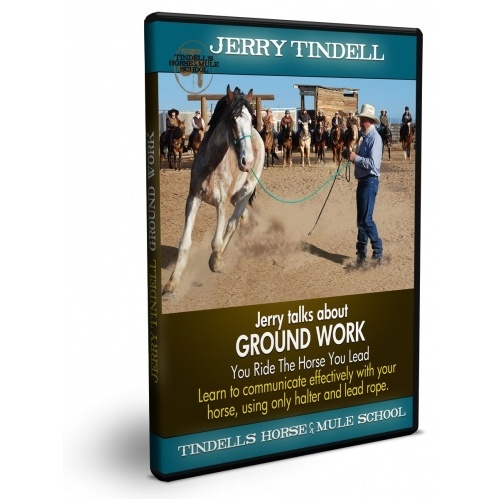 Learn to communicate effectively with your horse, using only halter and lead rope. Build a solid foundation for safe and pleasurable riding and driving. Problems on the halter and lead rope predict problems under saddle or in harness. 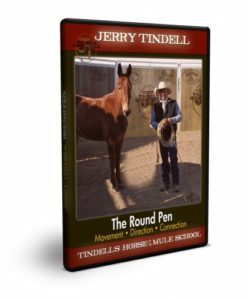 Problems in the saddle reflect problems you see every day while caring for your horse on the ground. 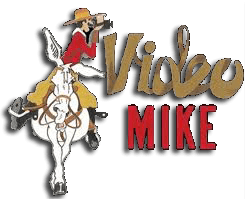 If you learn to communicate effectively with your horse or mule from the lead rope, you’ll know what to do in the saddle, even when unexpected things come your way. 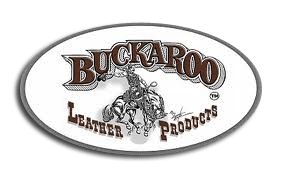 Shying, pushiness, running off, “barn sour” resistance, panicking – all these and other common problems can be safely and effectively worked out through halter work on the ground. 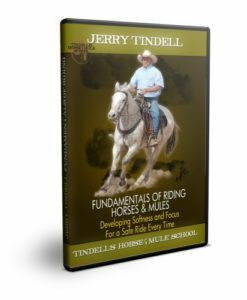 Jerry Tindell teaches that “You Ride the Horse You Lead.” In this video, learn to communicate effectively with your horse, using only halter and lead rope. Build a solid foundation for safe and pleasurable riding and driving. Problems on the halter and lead rope predict problems under saddle or in harness. Problems in the saddle reflect problems you see every day while caring for your horse on the ground. 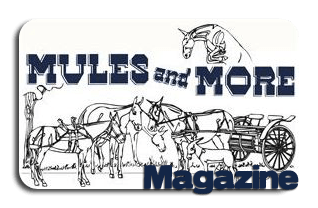 If you learn to communicate effectively with your horse or mule from the lead rope, you’ll know what to do in the saddle, even when unexpected things come your way. Shying, pushiness, running off, “barn sour” resistance, panicking – all these and other common problems can be safely and effectively worked out through halter work on the ground.